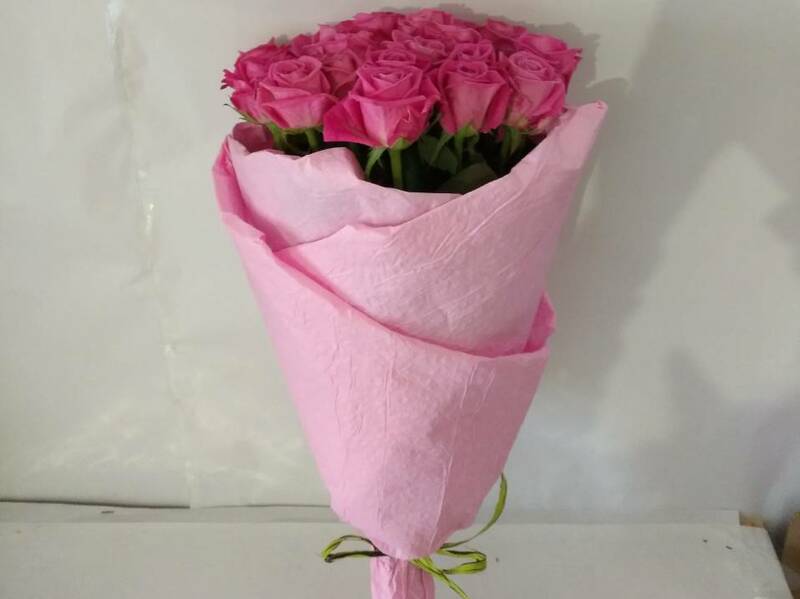 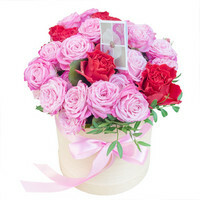 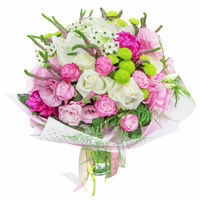 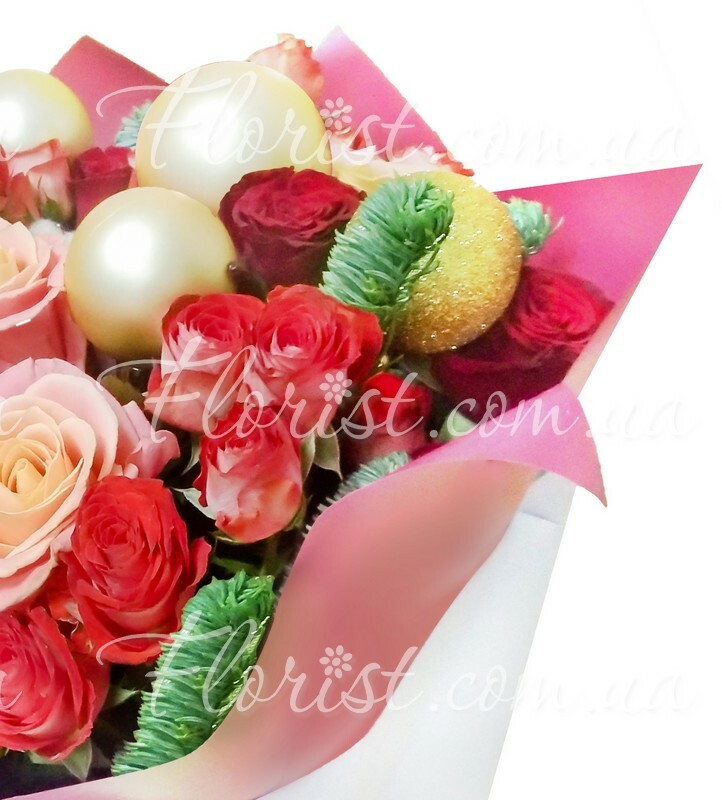 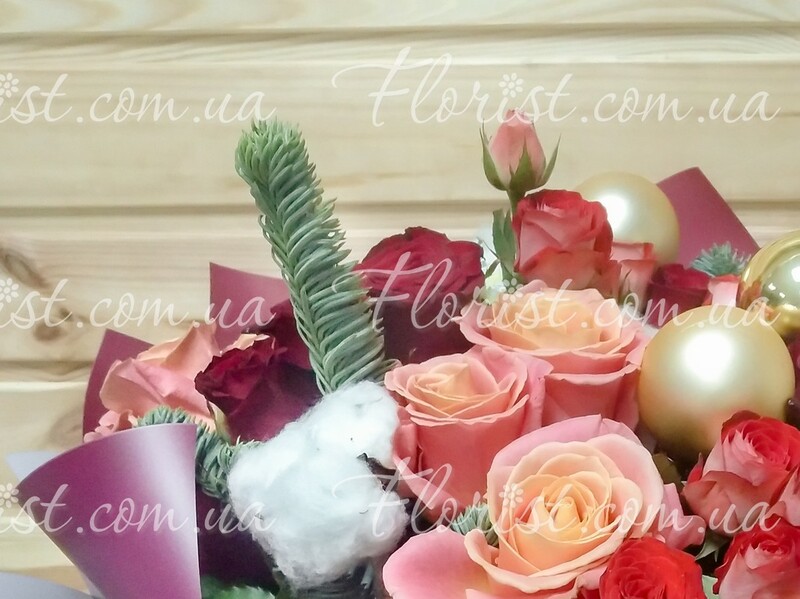 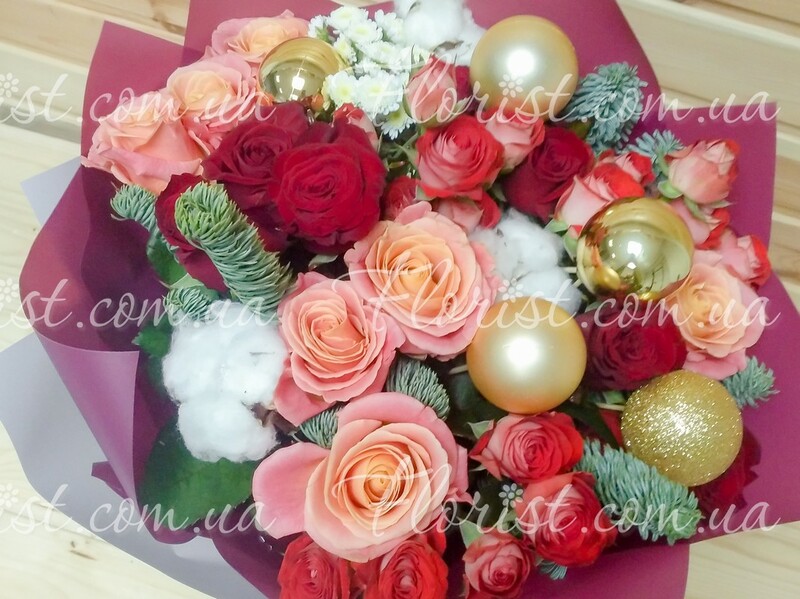 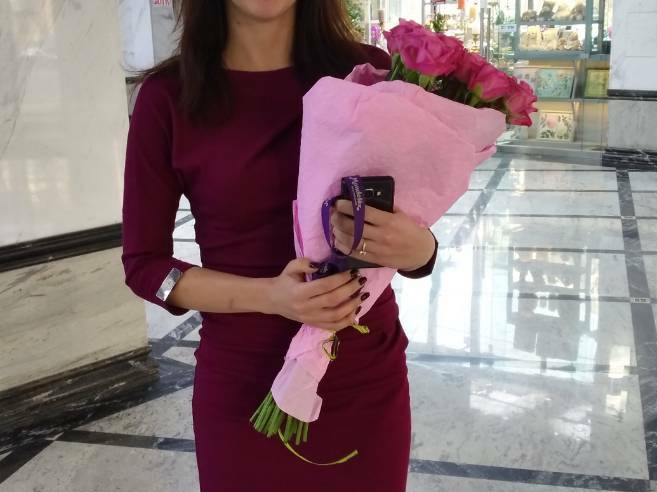 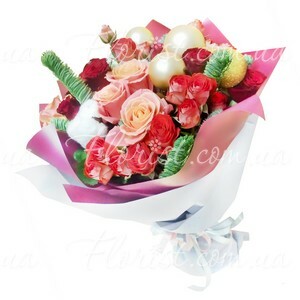 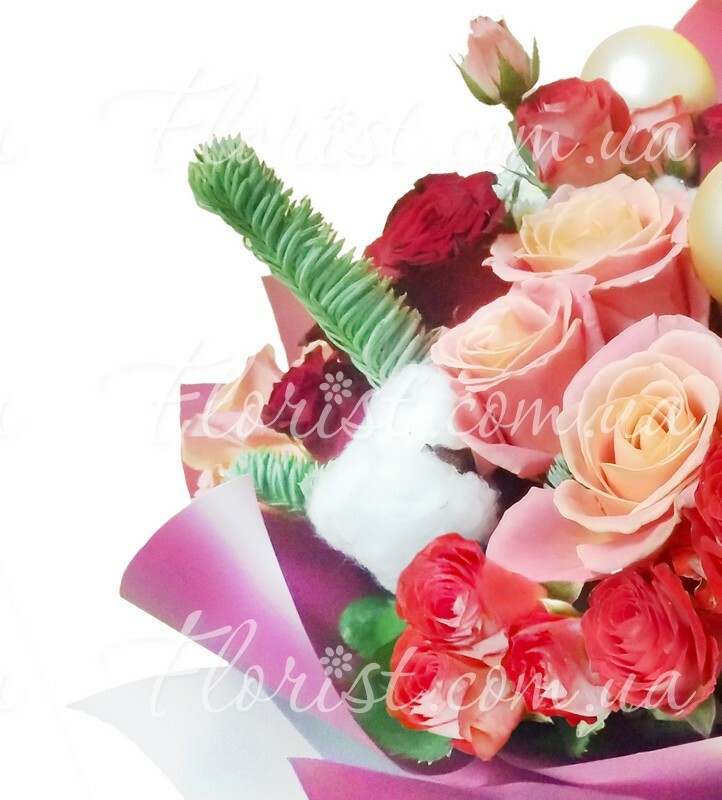 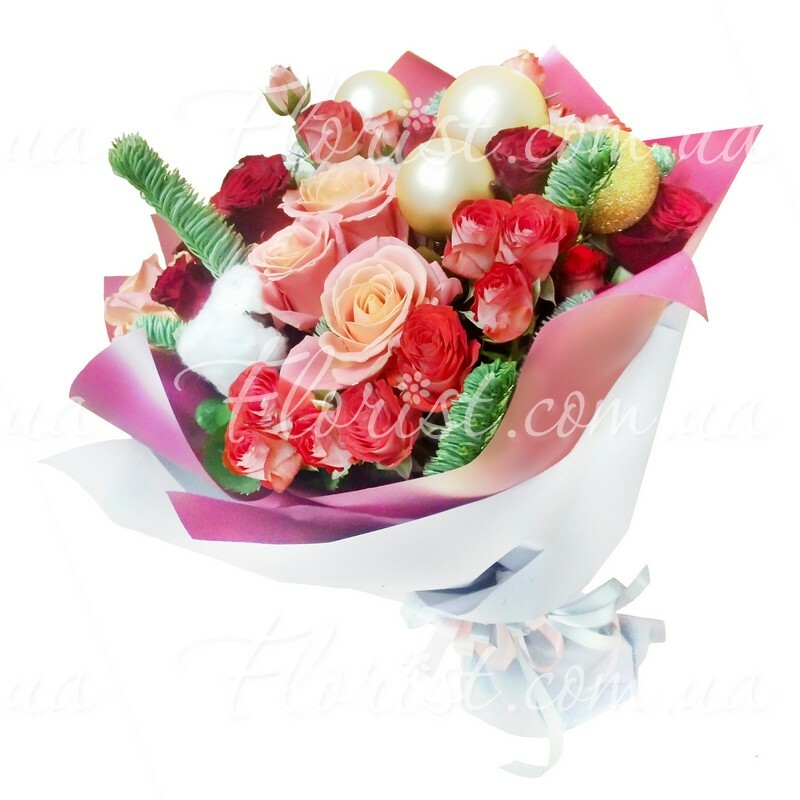 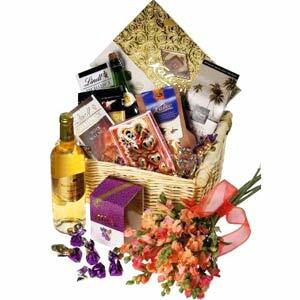 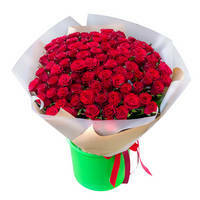 On the photo - medium size, bouquet of about 35-40 cm size, arranged of roses, spray chrysanthemums, cotton, spruce branches. 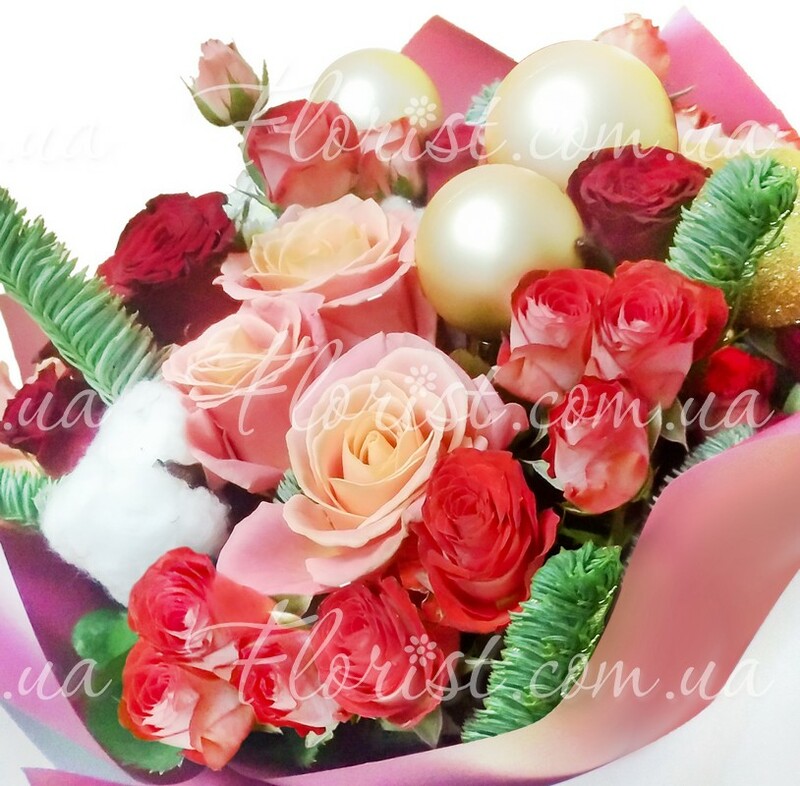 Thank you for your order, Jota! 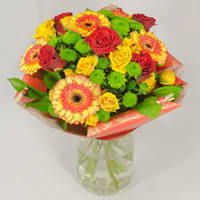 It'll be nice to help you with flowers delivery again!